Now enrolling for the 2016-2017 school year. We welcome you to contact us regarding upcoming Open House events, school tours, and classroom observations to find out more about our educational programs. Montessori In Town serves the in town community. 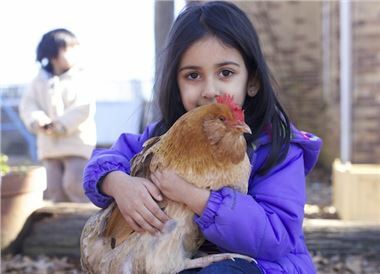 Our Poncey Highland campus, founded in 2005, offers Toddler, Primary, and Elementary classes. It is located at 678 Moreland Ave NE. This location is surrounded by a bustling and vibrant in town community of shops, restaurants and is easily accessed from many neighborhoods. Montessori In Town is fully recognized as an A.M.I. school, following the high standards established by Dr. Montessori in 1929. Criteria to be recognized as an A.M.I. school include training of teachers, fully equipped classrooms, class size, physical space, indoors and out, student to teacher ratio and student ages. As well, A.M.I. 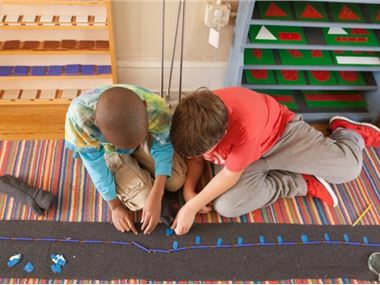 schools are carefully and regularly scrutinized to ensure that the philosophy of Dr. Montessori's principles are consistently put into practice. 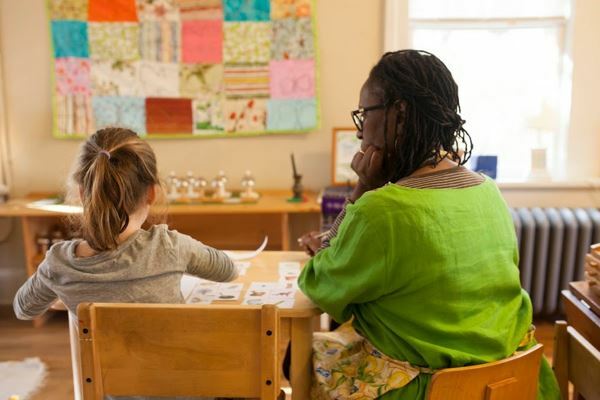 Montessori In Town's mission is to offer the finest of educational experiences and maintain the high ideals of Dr. Montessori's standards while serving the vibrant, diverse in town population. Students are fostered to develop emotionally, physically and academically in a respectful atmosphere where differences are celebrated and respect is a cornerstone of our everyday work. Individuality and community are developed simultaneously as the principles of freedom and discipline balance one another. In August 2011 Montessori In Town grew to offer a Montessori Elementary (ages 6-9+) program. This growth allows us to support families wishing to extend their child's Montessori education into the elementary years. The Elementary program serves current Montessori In Town families as well as children transferring from area Montessori schools that may not offer the Elementary level. We welcome you to contact us regarding upcoming Open Houses, tours and observations to find out more about our program. Montessori In Town is inclusive and does not discriminate on the basis of race, color, sexual orientation or religious beliefs. Accreditation: Montessori In Town is fully recognized by the Association Montessori Internationale (AMI). 404-483-9449 Technical Support & Database Development, Right Brain Technology, Inc.